Crumbs Bakeshop is opening two new locations this week according to an email we got from co-owner Jason Bauer. Today, Thursday, October 30th sees the opening of their Stamford, Connecticut shop, completing with 1,000 free cupcakes and a ribbon-cutting ceremony with the mayor at 3:00! It's located at 1067 High Ridge Road and the phone number is 203-322-8100. Doors open at 8 am. 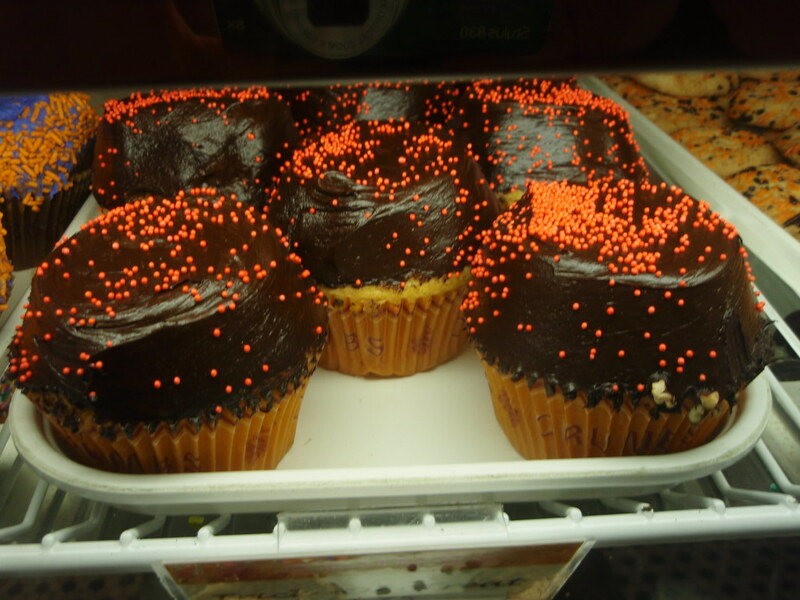 Crumbs has launched a special cupcake in honor of Gary Dell'Abate (Baba Booey), the producer of The Howard Stern Show. Gary will be in-store on Saturday, November 1 from 4:00 p.m. to 6:00 p.m. to introduce the new cupcake for the very first time. All proceeds from the “BaBa Booey” cupcake will go to LIFEbeat (The Music Industry Fights AIDS). And on Friday (Halloween), they open yet another NYC store at 1418 Lexington Avenue (93rd Street). The phone number is 212-360-7200. No word yet on any giveaways. Just got back from Crumbs in Stamford. Yummy but the staff is not yet trained on the cappucino machine!! It took way too long for the manager to notice that there were 8 people waiting to be helped while 3 employees made a coffee drink! Hopefully service will improve and the tables will be delivered soon -- they had chairs but no tables. Crumbs is the talk of our office right now. Had to check it out for myself to see what the fuss was about. All I gotta say is BRAVO Crumbs! I had the Red Velvet and the BEST iced mochachino I have EVER had and I am VERY picky (watchout Starbucks!)! Place is bare but cupcakes and fun staff more than makeup for that deficiency! Crumbs is overpriced and not even close to the best cupcake around. For a real cupcake treat, call Jennifer Balin of Sugar + Olives and place an order for what is without question the BEST cupcake in the US! And at only $3 a cupcake or $1.25 for her smaller sized ones, it is a bargin compared to Crumbs. Jennifer is in Westport, but does deliver as far as Greenwich. I have also recently tasted a sugar + olives cupcake, it was so beautiful and delicious. I heard they were opening up a place in westport, is that true? Does anyone know where it will be? THEY MESSED UP OUR SPECIAL ORDER! We went to the Stamford Crumbs for our daughter’s christening party. 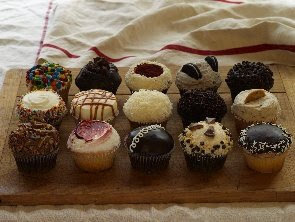 My husband made several trips to the store to ask questions and to purchase cupcakes so that we could choose which flavors to get (I was a bit worried about the quality b/c several of the ones he brought home tasted a little stale). When my husband went to pick up the order, he finds out that the order is incomplete AND incorrect. To top it all off, when my husband demanded to talk to a manager to complain about all of the time (AND money) we spent to get this order right, the woman he talked to actually had the nerve to say dismissively, “They’re only cupcakes.” No, they’re the main focus of your job and the cornerstone of your company!! In the end, all we got for our troubles was a dozen free of the wrong cupcakes to replace the ones they forgot. The cupcakes were good, but they weren’t good enough for us to ever go back there again.